When you live in a gorgeous setting and have totally lovely neighbors that seems like the PERFECT excuse to have a little garden party picnic, don't ya think!? I think so! 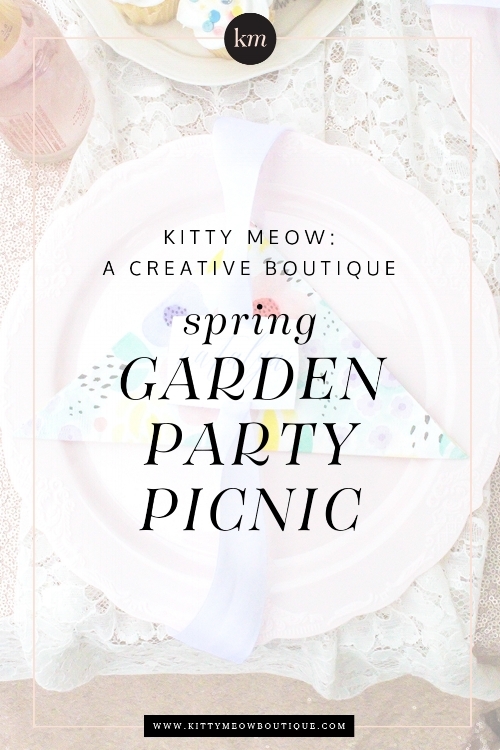 If you didn't hear...the NEW Kitty Meow: A Creative Boutique website and blog is launching on June 6th!! Ava James and Beau are just SO excited that they had to have their own little celebration to get ready for the big launch. We hope you're excited too. Lots of beautiful stuff in the works here! FOR REAL. We'll all be going LIVE on June 6th so mark your calendars! 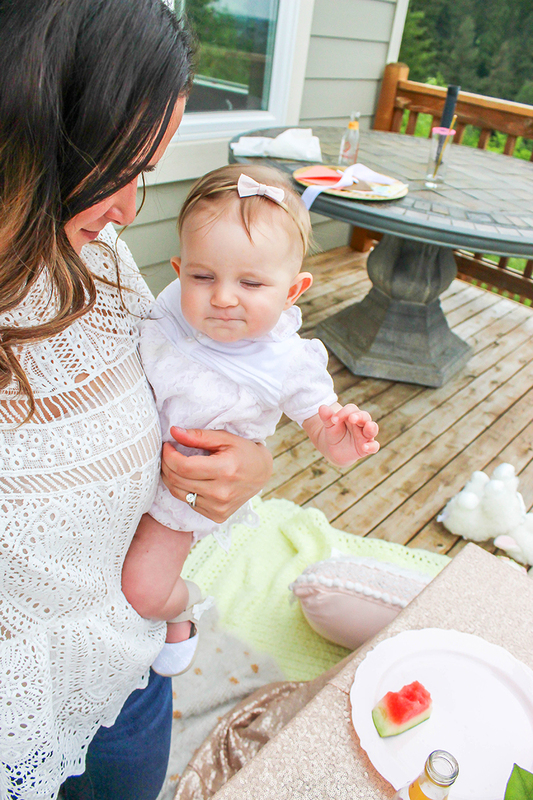 In the meantime, check out these sweet pics from our little Garden Party picnic. Stationery designed by yours truly, Kitty Meow: A Creative Boutique. The beautiful flower arrangement is from our local flower shop, Down to Earth Flowers & Gifts. I'm planning something really fun with them for launch week so if you're local to Snoqualmie be on the lookout! What's a party without a little inspirational quote as decoration? It's really important to me that I raise my girls to be kind, generous, and positive people. Ava James is still learning the concept of sharing and loves to throw tantrums, but I'll keep trying to drive this concept home until it sticks. These sweet little pink plates and floral napkins were a Home Goods find. So perfect! And because I'm all about making guests feel special, personalized name tags with a little ribbon action. How perfect is this floral arrangement from Down to Earth Flowers & Gifts? I literally called them an hour before, gave them a color palette, and they made the magic happen, and fast. Such great customer service and such a beautiful arrangement! If a glass rimmed with pink sprinkles doesn't make you smile I'm not sure what will! These were super easy to do with a quick coating of a lime beforehand. I made some fancy icecubes the night before by dropping a piece of fruit in the ice tray. Donut holes were made a little more fancy but stacking them on some gold paper straws. Easy breezy and totally cute! Even though I cheated with store bought treats I like to think I redeemed myself by making sweet little good signs. Printed them out on cotton card stock, cut, & hot glued a toothpick to the back. Boom! Done and done. Super excited to play with my new Canon Rebel T6 for these pics. While the camera takes awesome photos it's really the Lightroom edits that take the pics to the next level! What's a party without a beautiful invitation? You'll see a lot more of the invite as I practice shooting. Oh hey, Beau! My sweet little lady!! Here's our neighbor Emma. She is THE CUTEST! We're so happy to have become fast friends. She's a real southern girl, literally and at heart. I think the Pacific Northwest looks good on you though Emma! Oh hey, Ava James! Loving that yellow dress from Bailey's Blossoms. She might or might not still be wearing it today. Ok...she is. Those sweet little hands! I can't take it. Me and my little lady Beau! This was my best attempt at getting behind the camera. Oh hey Chowder! Thanks for joining the party! Charlotte, our Cuddle & Kind bear, makes the best photo prop! Thank you all for sharing this fun little day with us! We'd love more inspiration on ideas for sweet little parties. Please send all the ideas our way!! Until next time, friends! Want more from Kitty meow? Drop in your email to be the first to know about promotions, giveaways, new stationery designs, party planning tips, and more! PLUS get freebies in your inbox every Friday!